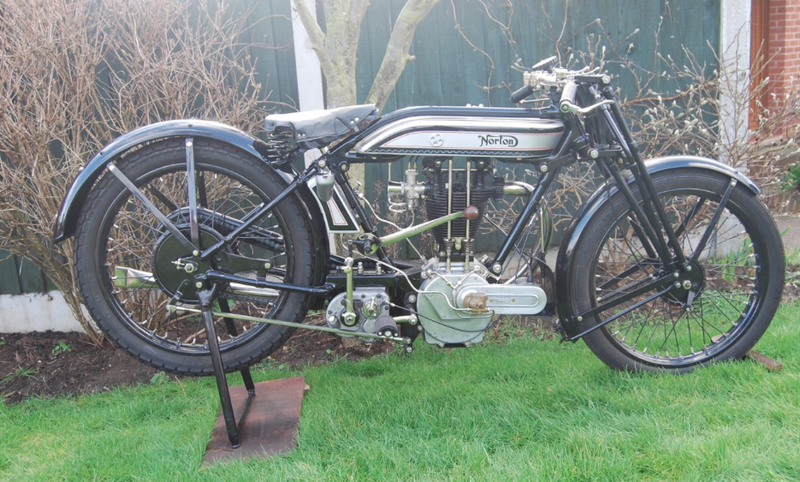 Brian in the UK sent us these pics of his 1926 Model 19 Norton. Brian: "I thought you may be interested to see my Norton. 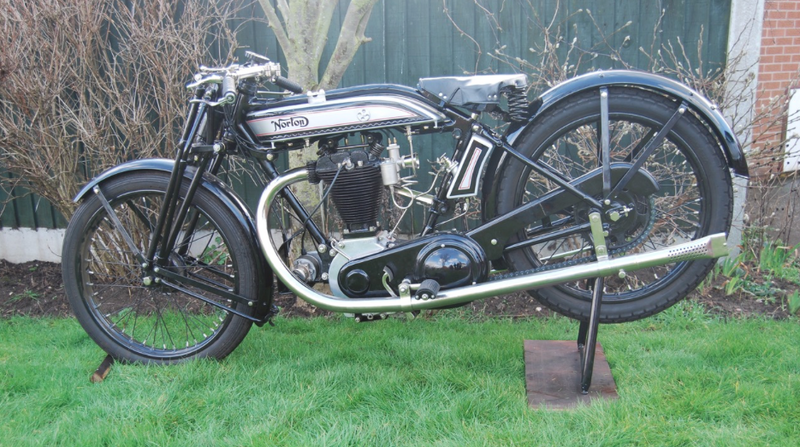 The front forks are interesting, perhaps somebody upgraded Nortons in the late 20’s as several seem to have been converted. 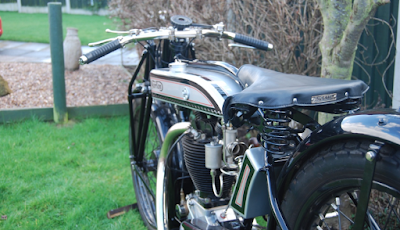 The fork fittings are all chrome plated, which would indicate a later date. 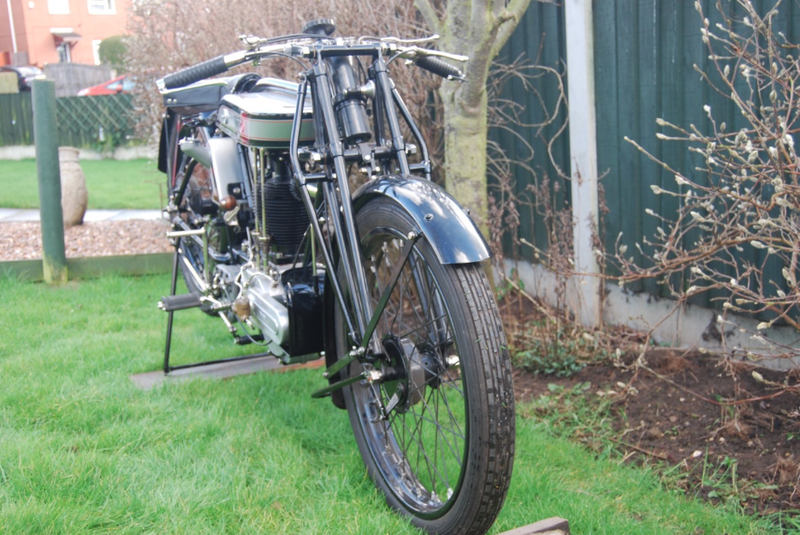 The engine, gearbox, frame, magneto and petrol tank match the factory records. 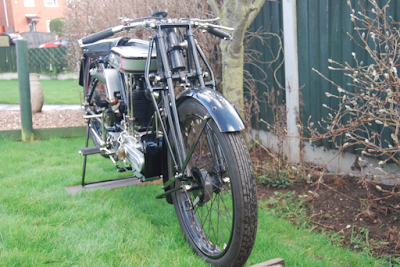 I have the original mudguards which are usable but would need work." -SG- As regards to the forks, these would have been fitted later, as you correctly surmise. 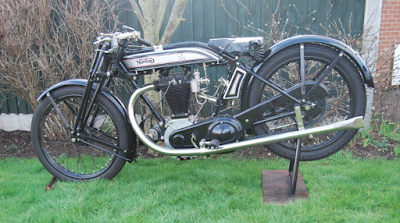 The patent application for the Druid Enclosed Spring design was made in 1926 and by the TT of 1927 a very few bikes were fitted with them for the event (not Nortons). 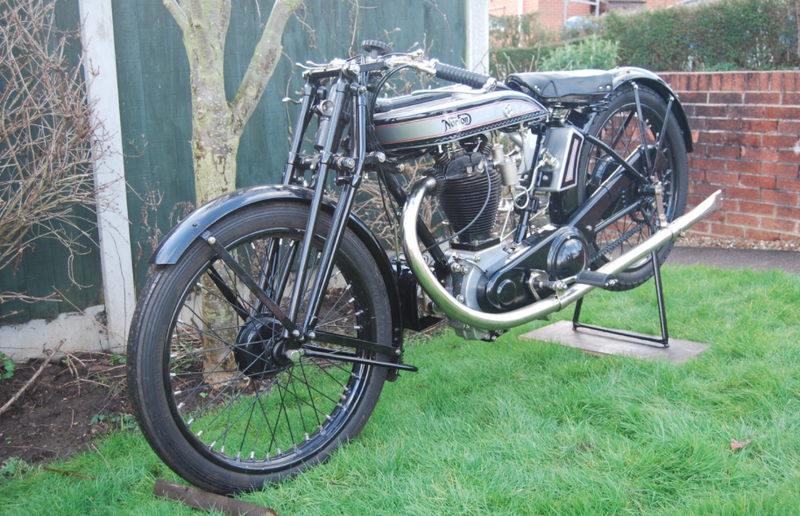 Nortons did fit them as standard to the CJ and JE models later in the decade and there are a few machines listed in the records as having the larger size fitted from new and a very few with the braced variety which you have. 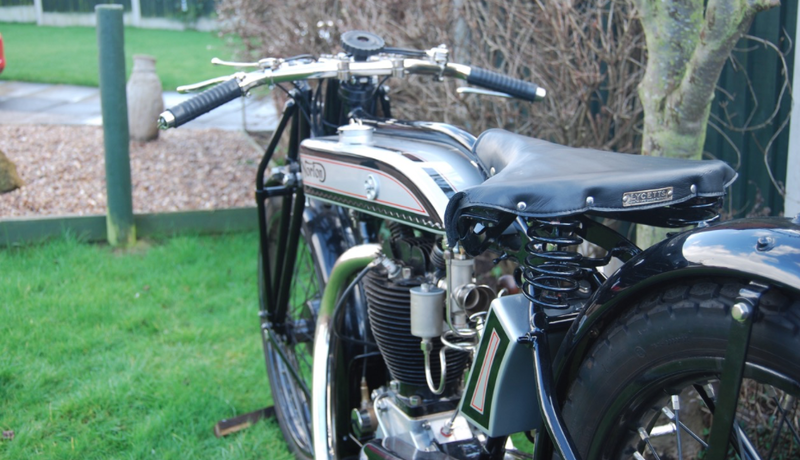 This type was intended to appeal to side car users and perhaps your bike had one attached at some time. I suspect Druids paid a higher bonus to sporting users of their forks in the early thirties as both Pat Driscoll and Bill Lacey used them on their Brooklands mounts, in preference to Webbs.